Kyoto has several flea markets every month. For example, a hand craft flea market at Chionji Temple also known as Hyakumanben is popular (every 15th). But the Art Flea Market is unique and rare because it focuses on artwork, allows only people associated with Kyoto to sell items and opens only twice a year. There will be serious art works including glass arts, sculptures, paintings, photographs, craft works and so on. If you are planning to visit Kyoto during September 21th – 23rd, it might be fun to check out this flea market. The main zone opens 11:00 – 17:30 (17:00 on 23rd). 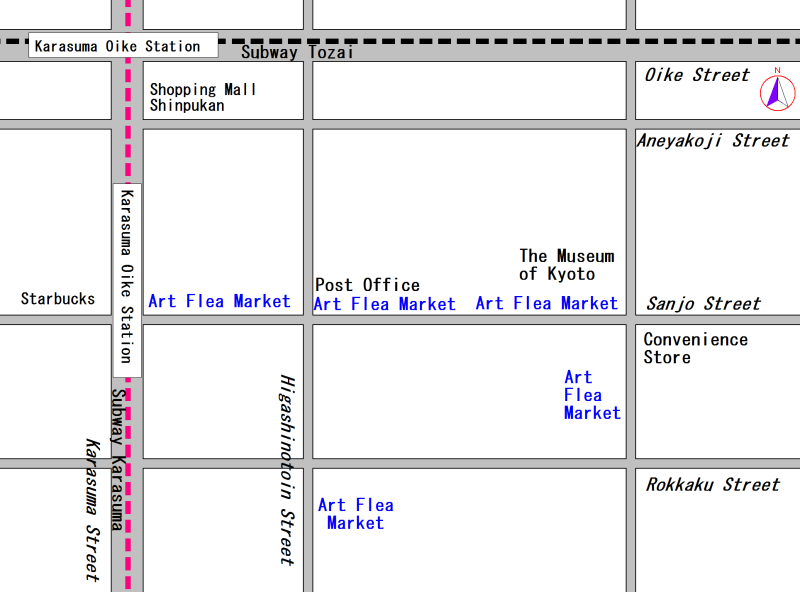 And another zone on Higashinotoin Street opens 11:00 – 16:30. Combining the latest information on this blog with our Kyoto Guidebook will make perfect information resource.